And with it being the first Friday of the month, you know what Kathy had in mind when she chose this week's colour palette to inspire the Daring Cardmakers! So I had great plans in my head when sitting down to create this card, but once again the creative part of my brain decided to go on a little holiday... never to mind. I wanted to play with my new Rosie Posie stamps but obviously wasn't channelling the Veldman or other PTI design team ladies who have made such lovely projects with this set and matching dies that they make it look so effortless. Anyway, don't forget to check out the other lovely creations from the DCM girls! Good morning everyone! We're on the brink of seeing in a New Year and hopefully another 52 weeks packed full of creativity and inspiration! 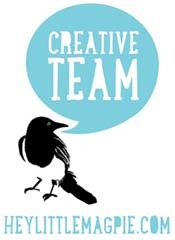 It's a bit strange that week 1 kicks off in 2012, but just think of it as one extra creative thinking day! For those of you new to the 52 Cards challenge, here's a little intro. If you're not new to the challenge, well this year there'll be a little extra creative boost to help you along with your Christmas card pile! A no-stress challenge aimed at getting you to make at least one card a week in 2013. Well, there was a hint that other folks were in the same boat as me in December, when panic set in that we hadn't made enough cards to send to people... I really want to avoid a repeat of that for Christmas 2013! So, as an added push this year those that want to get ahead with their Christmas cards can make an extra card a week by using the prompt to create a Christmas card as well. If that sounds like too much work, no problem! This is meant to be a stress-free challenge. Join in as and how you like, one week you may want to just make a card for the original prompt, another week just a Christmas card, or some weeks you just won't have time to make either! There will be a separate thread in the card forum on UK Scrappers for you to share your (hopefully) 52 Christmas card crackers! So if you are ultra-productive there is a chance you could make at least 104 cards in 2013! I will be posting any cards I make for the Christmas card crackers separately later in the week unless I happen to be ultra-productive! So onwards we go with the first prompt of the year, it's a new year and so a good way to see in the new is to include it on your card! Make a card featuring something new! I went with new stash, because I've not had any time at all really to play with the lovely goodies I got in Florida or my craft Christmas presents! I added Glossy Accents to the "Celebrate" banner on the rosette just to make it pop a bit more. And since I was well-prepared for once, here's my contribution to this week's Christmas cracker card! Last Christmas card of the year? This week it's our last dare of 2012 over on the DCM blog, and it's also rather sad because it's our last dare with our wonderful teamie Rein. She's stepping down from the DT after 4 years of dedicated service and we will really miss her. Good luck Rein with all your future endeavours! We've been challenged to create a card that uses paper piecing - well perfect excuse for me to roll out my new MFT hexagon dies eh? I think I could get addicted to making similar cards with other scraps! Now, don't forget that there's still time to enter for your chance to win a fabulous prize from The Ribbon Reel - the DCM girls will be taking a break over the Christmas period, but we'll be back with new challenges and inspiration on the 4th of January 2013! We all hope you have a wonderful and peaceful Christmas and holiday period. Thanks for playing along in 2012! We'll see you in 2013! Time for a little monkeying around! It's a bit difficult to see in the photos, but I used aqua cardstock for the background and then squished my Versamagic white ink cube around the monkey and branch to create some clouds. I took ages last night looking for a greeting only to realise I still do not have an "It's your birthday..." stamp in my vast collection. Epic fail! Don't forget to check out the other fab monkey-cards from the rest of the design team - they really bring a smile to your face! So today's prompt is hopefully a therapeutic one. I want you to feature colouring on your card in some way. But first, I leave you with my last little craft project for the time-being. It's for Lythan's lovely Twinkle, Twinkle dare on the DCM blog, and as you've probably guessed she challenged us all to feature stars of any shape or form on our cards this week. I was really surprised how well PTI's Terracotta Tile cardstock went with the red in the background papers, I always see it as being a very orangey red, but it really matched well on this card. And hurrah, I had time for some Distress Stickles action this week and managed to leave it alone long enough to dry! Use at least 3 different designs of paper on your project. But I'm back getting something crafty done and just in time for this week's dare on the DCM blog. I had previously cut and rolled those felt roses for another project but the colours hadn't worked well on it, so the roses made it into my scraps bowl for future use, most handy, as they go perfectly with the colour of those resin flowers. Am getting there, but still have the head-in-goldfish-bowl hearing and am ample supply of Sudafed to get me through. The greeting from Holiday Ornaments went really well with the washed out 50s colours of this line. Well, technically this card was made at the request of my very good friend and partner-in-almost-every-crime Becky who is now a very proud aunty to the new arrival - it has been months in the planning and I had been on call the past couple of weeks for baby Amira Rose to make her way into the world! And as for the 52 cards challenge prompt for this week, the theme is the same, as it the Distress Stickles on the pink Thickers. Does that mean the Christmas countdown begins? It's the first of November and I have been seeing lots of Christmas countdown mentions and status updates on Facebook. But before any of that can happen, there's still stuff to do here in the UK. To aid in the lifting of winter blues I have been enjoying my new Vivaldi Four Seasons Recomposed CD by Max Richter. Great music, whether loud or low in the background. Here's another card I made at last week's crop - not that it was a productive evening on my part, but it was a most enjoyable one, even with rather bizarre dash home in the snow. October is way too early for snow to be settling! Can you believe this is the first time I've stamped with the dove from this set. Have used to corresponding die, but not actually used the two together. I think it's time to make up for it! Hi everyone - and welcome to the first prompt of the proper countdown to Christmas! Well, in my book when the clocks change back from British summer time, I know I really need to get a move on with my Christmas card production, such that it is! So, this week I have a Pinterest inspired post to share. We're looking to folk-art, Nordic and rustic-inspired Christmas styles for this week's card. If you're not making anything Christmas related, that's fine. :o) But try and feature something that ties in with this week's theme some how... say wooden embellishments, twine, felt or even the colours and patterns typically used in these styles. In fact I was rather inspired by the look of some lovely red felt coasters I bought last Christmas... it's always interesting just what can inspire a card eh? Let there be light - of the twinkly variety! This week's dare on the DCM blog has been set by Kathy - and it's all in the hope of lighting up these dark and dreary autumnal days. So basically you need to feature anything from candles and lanterns to fairy lights on your card. The perfect excuse for some more Christmas card making eh? This week's dare could be right up the street of any Christmas card makers out there. Use the lyrics of a song on your card in some way. I went to work glittering the berries and star for extra glam. Can't be helped when you're in Christmas mode! Hope you have fun playing along! It was really lovely to have her stay, not least because we had great fun traipsing about the place - three outings a day and god knows how many miles. But anyway, back on topic and today's happiness comes to you in the form of this week's DCM dare set by Keilly who wants you to make a card with a happy theme. I thought the colours were rather jolly! What I mean is animals or "people" you associate with winter. ...and anything else you care to add to that list! Well, it looks like it's official now - the evenings are now too dark for me to get decent pics of any craft projects. My craft lamp can only do so much! This week's DCM dare was to feature spiders on your card. So after panicked phone calls to a Halloween-stash-buddy I ended up going with plan B and making my own feltie spider from scratch. No mean feat for somebody with zero hand-sewing skills! Here's the pic I managed to get in daylight conditions - much better! And although you can't quite make out the detail on Mr spider, he is a plush feltie filled with cotton wool no less. I made the body from two Spellbinders ovals and the legs are from a mini MFT flag pole die. Very handy I must say! It was a bit of a battle to fit all the letters on there! And Mr spider also is only attached by the thread so he can swish about a bit. Hope the birthday girl likes it, must say it is most handy to have someone who has a birthday on Halloween and loves all things Halloween-y! Well, if I do manage any crafting this weekend then I shall definitely have to get my cards photographed this weekend! I was sad to read the other day that the Card Positioning Systems blog would be closing at the end of this month. It has always been my go-to blog for sketches and there has been a huge array to choose from over the years, not to mention the wonderful samples from the designers. I think it's been a while since we had a sketch-driven prompt to work on, and I know if you are busy creating your Christmas cards now then sometimes you need a bit of added inspiration to get you started on that next card. So, this week rather than provide you with one sketch, I want you to seek out a sketch online and use it as inspiration for your card. And to aid your fellow crafters why not link us up to the sketch you've used? My card is based on a sketch I found this weekend when hopping around the various blogs celebrating World Cardmaking Day. If you've never used sketch blogs before, then some of my favourite places can be found on the left-hand side of this page. Also I was looking for inspiration to get me kick-started when I made this card earlier this week and I looked up the current sketch on the CPS blog and sketch #285 was the perfect answer. A lovely sketch and I think I will use it again for my Christmas card production! As we are now out of September I felt it was about time I dragged out my Christmas stash and started thinking about Christmas cards since I won't have much free time at all come November and December to get anything made. This week is a double-themed prompt. I know some folks don't make Christmas cards so don't want any to feel left out. Happy (festive) crafting for those embarking on the Christmas theme! ...has started a little earlier than I had originally planned. I did some blog surfing looking for sketch inspiration and after dragging out all my Christmas stamps yesterday (which included a 30 second panic when I couldn't remember the "safe" place I'd stored my WMS stamps in) I decided to visit the WMS blog to see what this week's sketch was. I went for a Nordic theme with the colours and of course the Nordic Winter set added the perfect accents - they fit perfectly into the MFT nested banner dies - bit too big for the Spellbinders ones. The card really pops in real life and I think this combo would be fine for a male recipient who doesn't appreciate glitter quite as much as other folks... In fact I had to restrain myself from Distress Stickling this card in some way as I'd never have gotten a photo in daylight since Distress Stickles take hours and hours and hours to dry! Not good for the impatient crafter. Chevrons.... who doesn't like them? This week's prompt is inspired by my recent die purchase. I have long admired rolled flowers on cards and handmade items, and well... I've made them from scratch a number of times, but dies just make life easier! So, I invested in some rolled roses, a rolled retro flower and a rolled loopy flower die from MFT to go with my existing rolled flower die from Memory Box Dies. So you've probably guessed that this week's challenge is to make a card featuring at least one rolled flower. Now if this is a completely new technique to you, there are plenty of tutorials on Youtube to help you out.